Mother's Day at my house is everyday, I promise it is. My husband is a sweet heart, he puts in countless of hours making sure that things run smoothly at home, we go out for massages at least once a month, he treats me to countless mid day lunches and spoils me with making sure that my business is running smoothly and that I am not stressing over anything. Which is hard, because LIFE! 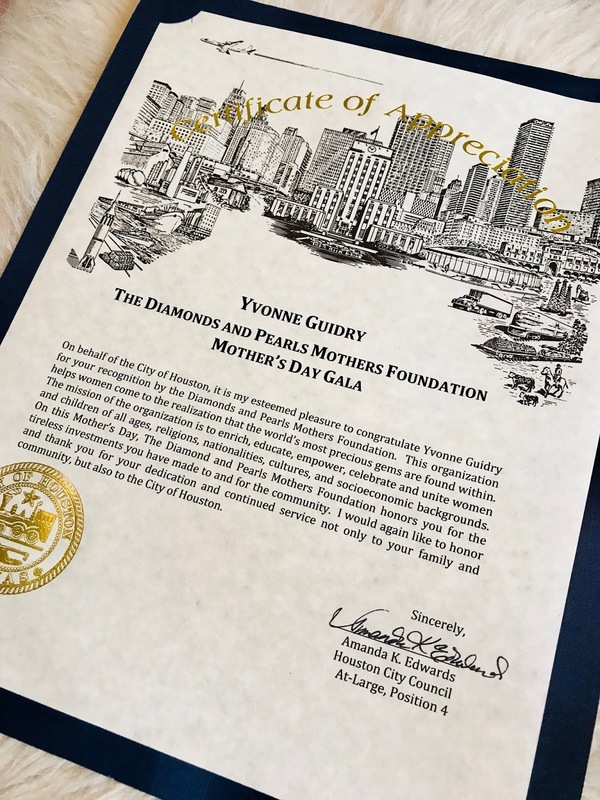 This Mother's Day was special and different, I was honored by Diamonds and Pearls Mothers Foundation an organization who strongly believes in my brand recognized me for my community contributions. Diamonds and Pearls Mothers Foundation is a Houston organization that works with women and children to help them be self sufficient. The organization honored other women along with a few friends in the industry who are also contributing their amazing talents to society. The Gala, was something sweet that my family was able to witness and it was special for my son to be there with me. 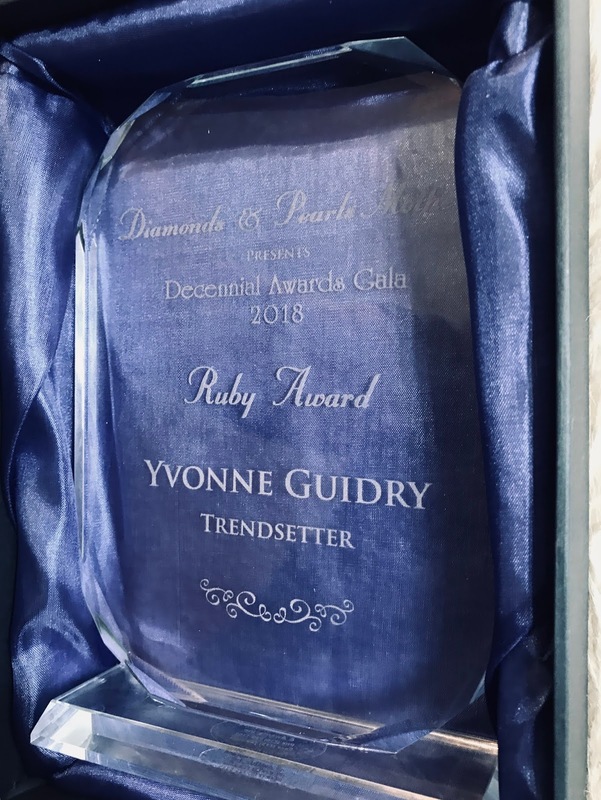 Congrats to all, and thank you so much for my honor!